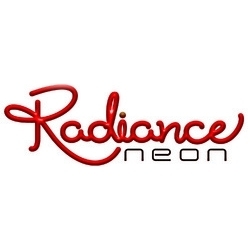 Located at Ahmedabad, Gujarat, India, we, “Radiance Neon” are one of the most prominent and well-established names in the manufacturing and supplying Neon Sign boards, Neon lights, LED sign boards, LED lights, RGB LED bulbs, Metal/Acrylic Letters, Signboards with CNC cut letters in Aluminum Composite Panel Sheets. Fabricators of all kind of Signboard & Hoarding Fabrications, Aluminum Panel Fabrication. We use state-of-the-art machinery, latest technology and premium quality basic material to manufacture various kinds of Signboards. Our team of dedicated and diligent professionals works cohesively to meet the requirements of our clients. Due to the high quality of our products, we have a huge distribution network in India and thus, meet the requirements of various sectors like Hotels, Shopping Malls, Corporate Offices, Corporate Centers, Hospitals, Retail Shops and many more. We are moving ahead with the guidance of our mentor Mr. Anuj Soni who holds a rich experience. His visionary approach has enabled us to render quality services to our clients within the stipulated time. We are engaged in the manufacturing and supplying of Neon Signboards, Neon Tubes, and Neon Sign Letters. The products offered by us include Neon Signs, LED signs, Backlight sign boards, Pylon Signs, Hoardings with LED or Neon Signs and Acrylic, Steel, Brass Letters Neon Signs. These are extensively used in hotels, malls, shopping centers, hospitals, corporate companies, and multiplexes. Quality being the crucial part of the organization has enabled us to provide optimum quality products to our clients. 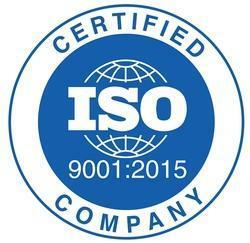 Owing to achieve this, we have integrated quality control management in our entire business activities. Our quality controllers conduct the process of testing right from the basic material. All products are checked on various parameters to supply a defect-free range of Neon Signboards, Neon Tubes, and Neon Sign Letters. This helps us in successfully catering to the requirements of various sectors like Malls, Shopping Centers, Industries, Multiplex Theaters and others. Moreover, we also provide the 1-year guarantee for all types of sign boards. Moreover, these machines are operated by experienced technicians and engineers for the safe and smooth production. In addition, we design these neon products using the best quality designing tools . Apart from providing standard products, we understand the requirements of our client and provide 'tailor-made' Signage and Display Boards as per their instructions and specifications. We maintain close coordination with our clients, which help us to understand their brand profile, target audience, competitions, strategic positioning and develop the best advertising solution accordingly. Moreover, we have been successful in developing an exact replica of the desired products. These professionals are well trained & expert in their work and are well versed with the requirements of the signage industry. Owing to their dedicated approach, we have been able to meet the requirements of our clients. We have been able to satisfy our clients and maintain their trust owing to our quality range of products. Our vital position in the industry has been possible due to our dedication to meeting client’s requirements.